Used in working condition Part# 3Y0857230F Shoul..
Used in good condition Part# 07D103245F Should f..
New in package Part# 07V105311 Should fit Bent..
Used one screen is rusty and has broken tabs, se..
Used screens are rusty and has broken tabs, see ..
Used has been repaired, see pictures. Part# 3Y083..
Used actuator is loose. Part# 3Y0827852C , 3Y08.. Brand new Oem part # 3y0698151p 3y0615115d 3y0..
Used has some scratches, see pictures. Part# 3Y58..
Used has some scratches, see pictures. Part# 3Y..
Used in good condition Part# 3Y0407047 Should ..
Used in good condition Part# 3Y0407047 Should fi..
Used has missing knob, see pictures. Part# 3Y5959..
Used in good condition Part# 3Y0411305B Should..
Used some damage see pictures Inventory# ben07..
Used in good condition Part # 3y0.823.187.b 3y08..
Used small scratches see pictures Part# 3y5821..
New still has protective film. Part# 3Y5839907B ,.. Purchased brand new and tested on the car but it w..
Used some damage to outher bracket see pictures ..
Used small scratches Part# 3Y0853667A Should fit.. 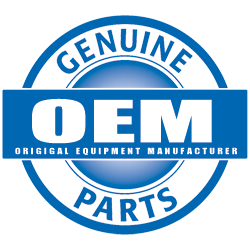 Brand new replacment oem quality, low dust oe form.. Brand new Oem part # 3y0698451b brake pads only ..
Used some scratches its a stainless steel and can ..
Used small scratches Part# 3y0.953.042.b 3y095304..
Used in good condition. Not tested! Part# 3Y19596..
Used in good condition Part# 3Y0411317 Should ..
Used in good condition Part# 3Y0411317 Should fi..
Bentley right passenger seat lumbar massager #5063.. Brand new open box, pack of 2 Part# 3z0819439a ..
New Part# UE73704 Should fit Bentley S2 S3 .. Brand new air filter Part# 000205468 205468 Sho.. Brand new Oem Bentley part x 4 pieces Will fit .. Brand new Oem Bentley part x 2 pieces Will fit .. Brand new Oem Bentley part x 1 Will fit Bentley C..